– Shelby Houlihan talking about how the goal for the Heusden 5,000 steadily increased until the point they decided to go for the American record and she ran her 14:34.45. 4:46 mile, 10 years old. Smashed my son's Xbox with a hammer as punishment. Now he won't talk to me. Not sure if I screwed up. 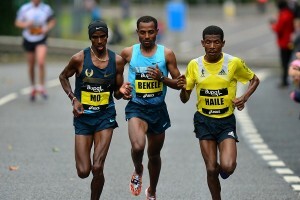 After multiple VERY lackluster years, will Boris Berian get cut or reduced from $125,000 after his contract this year? This is the workout that told Jerry Schumacher that Shelby Houlihan was ready to run the American 5000m record in Heusden. Plus can Centro get the American record at 1,500 and is Gabrielle Thomas America's next 400m star? Sifan Hassan And Dafne Schippers Lead Dutch Team For Berlin Euro Champs Hassan is stepping up to the 5000 while Schippers is in the 100, 200 and 4×100. Laura Muir Scraps Plan To Attempt 800/1500 Double Due To Achilles Issue Instead she’ll just focus on the 1500. Apparently Muir’s indecisiveness has created some controversy as back at the British trials a rival accused British Athletics of favoritism and lodged a complaint when Muir decided to run the 800 only hours before the heats started. Oregon Hires University Of San Francisco Distance Coach Helen Lehman-Winters Lehman-Winters joins the Ducks after 15 seasons at USF. She and former Virginia Tech coach Ben Thomas replace the coaching duo Andy and Maurica Powell. Recommended Read: Runner’s World Interviews Shelby Houlihan About Her Current “Hot Streak” And Why Things Are Coming Together Now Originally Houlihan was just going to go for sub-15 in Heusden, but as the season progressed, Jerry Schumacher steadily dropped the goal which forced Shalane Flanagan to “cram fitness” to be able to pace her. Who Is The Next Bolt? Lyles? Coleman? A Soccer Player? The Guardian: Usain Bolt’s Soccer Dream Keeps Running But Reality Fails To Keep Pace Apparently reports that Bolt was going to have a six week tryout with an Australian club were premature as it is currently only being discussed. AFP: “Christian Coleman Eyes Chance To Shine In Post-Bolt Era” Coleman says he considered the Rabat DL his “season reopening” but he may have to reopen again after re-injuring his hamstring warming up for the heats in London. LRC Emmanuel Korir Blasts 1:42.05!, Murphy 1:43, Centrowitz, Ce’Aira Brown Get Wins, Akeem Bloomfield Joins Sub-44/Sub-20 Club London saved the best for last of the 4 days of international track and field at the Olympic Stadium in London. IAAF: Emmanuel Korir Scorches To 800m World Lead Sifan Hassan ran the #3 all-time mile time to win in 4:14.71 while Keni Harrison dominated the 100H with a world-leading 12.36. Mariya Lasitskene tied her world lead in the HJ to win in 2.04m. Laura Muir Falls Short In Bid To Break Zola Budd’s National Mile Record Muir ran 4:19.28 for 5th, missing Budd’s 32-year-old 4:17.57 mark. The Mirror: Greg Rutherford Leaves London Stadium With Tears In His Eyes After Calling Time On Long Jump Career Rutherford joked that his 4-year-old son could jump further than he could as he struggled to jump through his foot injury. .Aussie’s Linden Hall Says She Was Inspired By Countryman Joseph Deng Before Setting Her National Mile Record Hall 4:21.40 to break the 11-year-old record. Athletics Weekly: “Britain’s 4 X 100m Relay Men Find World-Leading Form In London” The GB squad ran 37.61 to win over Japan (38.09). Team GB’s Only Openly Gay Athlete, Racewalker Tom Bosworth, Says He Will Risk Prison To Speak Out For LGBT Rights In Qatar Bosworth is angry that Worlds will be in Qatar next year, a country that criminalizes homosexuality. LRC What A Meet: Full Monaco Recap: Steeple World Record, Sub-8 For El Bakkali, Miller-Uibo Sub-49 400, Amos Is Back This meet had it all and we recap it all. LRC 10 Crazy Stats From Absolutely Bonkers Monaco Diamond League Meet A 17-year-old Norwegian is now 3-0 vs. Matthew Centrowitz, and much more. LRC Final Beatrice Chepkoech DESTROYS The Steeplechase World Record, Courtney Frerichs Sets American Record In Monaco Women’s Steeplechase In one of the greatest runs in women’s distance running history, Kenya’s Beatrice Chepkoech absolutely destroyed the WR by running 8:44.32. She wasn’t the only one to run fast as the race featured a record 7 women under 9:10 and three national records. Monaco Loves the Ingebrigsten Brothers Filip Ingebrigtsen ran 3:30.01 to break his brother Henrik‘s 1,500m Norway national record (3:31.46) which was set in Monaco 4 years ago. 17-year-old Jakob also broke Henrik’s record with 3:31.18. IAAF: Olympic Champion Shaunae Miller-Uibo Goes Sub-49 To Win Monaco 400m She set a new Bahmian record with 49.97 while in the TJ, Christian Taylor beat rival Pedro Pablo Pichardo with 17.86m. 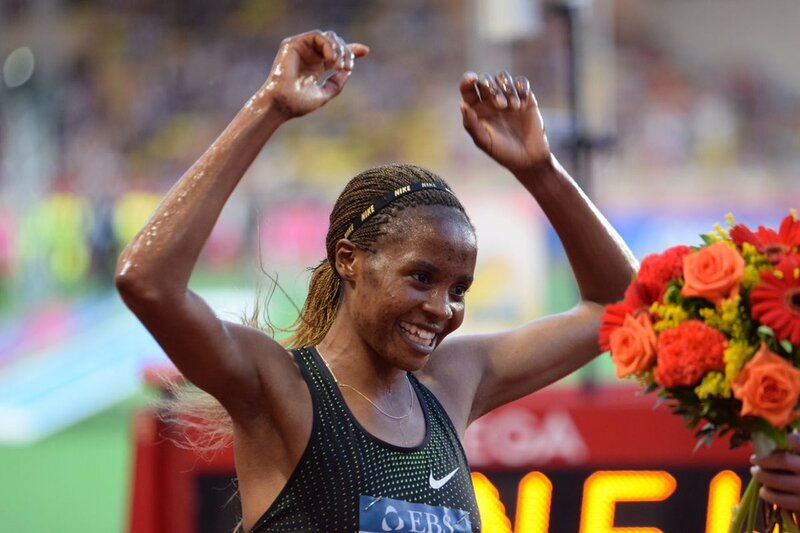 IAAF: Beatrice Chepkoech’s Steeple Was The Fifth World Record Set At The Monaco Diamond League There was also a meet record in the 200m where Noah Lyles ran 19.65 to beat world champ Ramil Guliyev (19.99) and world silver medallist Danil Lysenko equaled the MR in the HJ with 2.40m. Anzhelika Sidorova was the surprise winner in a very deep PV clearing 4.85m as Katerina Stefanidi and Sandi Morris were only 3rd and 4th. Marie-Jose Ta Lou won the women’s 100m in 10.89. Monaco Shot Put: Ryan Crouser Wins Deepest Shot Put In History In Monaco With 22.05 Heave It was the first time that 7 men threw farther than 21.20. Sifan Hassan Likely To Do 5,000, Not 1,500, At European Champs The article doesn’t mention it but that way she and Laura Muir avoid each other and both get gold. The two finals are back back – 20 minutes apart – so the double is impossible. Podcast Interview With Road Mile Queen Heather Kampf Kampf talks with Carrie Tollefson about the frustrations of coming back from injury, shares her 2018 racing plans and her aspirations after she retires from the sport. 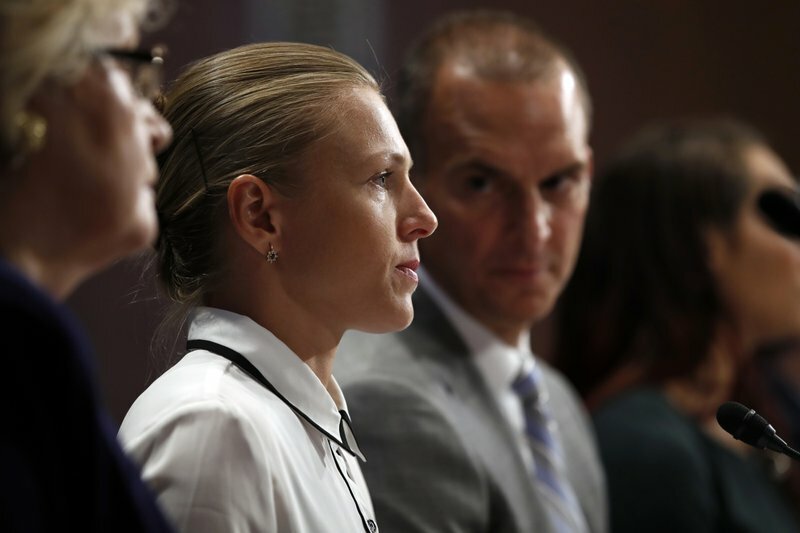 Yulia Stepanova and Travis Tygart testify before Congressional hearing that would make international sports doping a crime While Congress is at it, we also think they should make MLB, NBA and NFL doping a crime as well. We 100% agree: Opinion: Why Rodchenkov is the wrong name for anti-doping bill “Given Dr. Grigory Rodchenkov’s admitted activities supporting drug use by Russian athletes, the name of this bill is akin to naming it the “Lance Armstrong Anti-Doping Act.” LetsRun thinks the bill should be named for Yuliya Stepanova who went undercover and risked her life to expose Russia. LRC Exclusive Reebok Is Launching A New Pro Track Club; Chris Fox Tabbed As Head Coach, Justyn Knight Signed As Star Athlete Though the group will be called the Reebok Boston Track Club, the club’s training base will actually be in Charlottesville, Virginia. This marks a big move for Reebok, which had basically gotten out of running over the last decade. 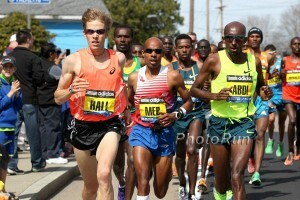 *MB: Justyn Knight and Chris Fox to Reebok – New Reebok pro track team announced! 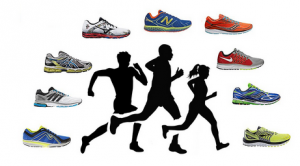 Rojo Speaks Déjà Vu: Reebok Starts A Pro Track Team – Let’s Hope They Stick To It This Time Reebok is starting a pro track team and basing it near Washington, DC? Sound familiar? They did this 25 years ago as well. Japan Getting Hit By Record-Setting Heat Wave With 8 Deaths And 2,000 Taken To The Hospital With Heat Stroke The intense weather has people asking if the 2020 Tokyo Olympics are going to be too hot? 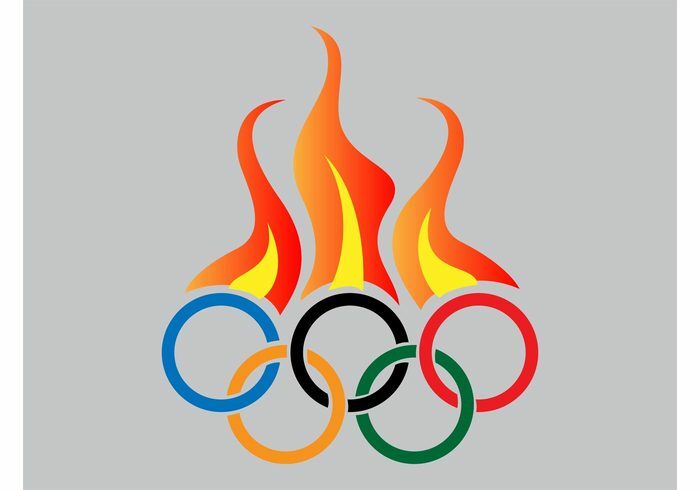 Seb Coe Overlooked For IOC Membership Again Thomas Bach claimed it was because Coe is facing re-election as IAAF President next year. 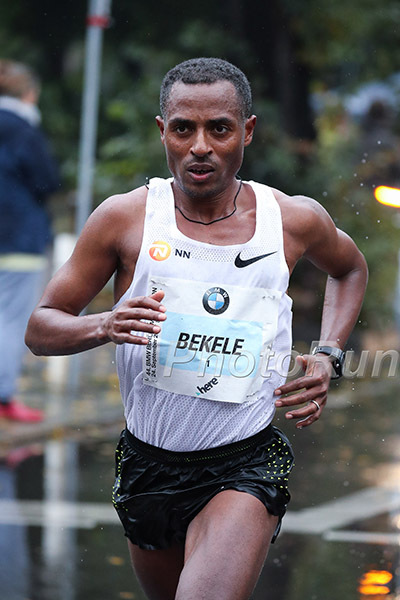 IAAF Looking For Air Quality Monitoring Partner If the IAAF are worried about athletes competing with poor air quality, we’ll go ahead and give them some free advice right now: don’t bring major championships to polluted cities like Beijing. Tokyo 2020 Unveil Names Of Olympic And Paralympic Mascots Miraitowa and Someity: “Miraitowa” combines the Japanese words for future and eternity, while “Someity” which Tokyo 2020 say resonates with “so mighty” in English. LRC Shelby Houlihan 14:34.45 American 5,000m Record In Heusden! What a year Houlihan is having as she led a slew of American PRs in the race. 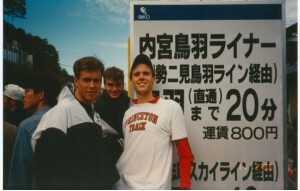 *Is Jerry Schumacher the best American distance coach right now? 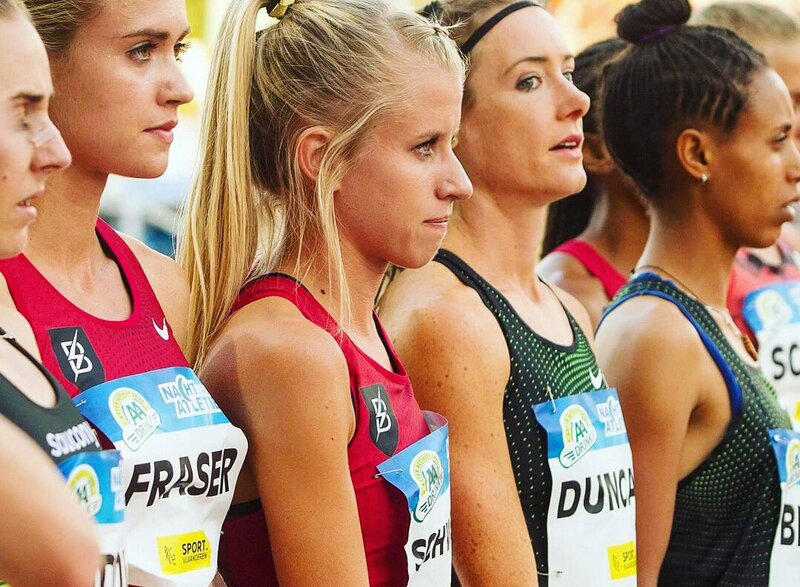 Karissa Schweizer Signs With Nike And Bowerman Track Club Schweizer made her debut in the BTC uniform in Heusden running 15:02 in the race Shelby Houlihan ran her 14:34. The Guardian: “Nike’s Lightning Shoes Hint At Power Of Technology To Skew Elite Competition” In light of the recent NY Times story/study, Sean Ingle asks if “game-changing” technology like the Vaporflys should be banned and if these shoes the reason why Kara Goucher didn’t make the 2016 Olympic team? Former Olympic High Jump Champ Ivan Ukhov Among Top Russians On AIU List Facing Doping Cases The list has 13 Russians and includes double world champ shot putter Tatyana Lysenko, Olympic bronze medal LJer Svetlana Shkolina and 2014 world indoor TJ champ Lyukman Adams. Agent Who Was Caught Offering To Get Drugs For Undercover Reporters Is Among One Of The 109 Facing Disciplinary Action On The AIU List Robert Wagner, an Austrian agent who has worked with Justin Gatlin, has been provisionally suspended while the AIU investigates. *Japan Federation Statement On Moeno Nakamura’s Failed Test Her ekiden team (Universal Entertainment) lost all awards and prize money and she got a ban of one year and three months. Chilean Shot Putter Natalia Duco Suspended After Testing Positive She now faces losing her gold medal from last month’s South American Games. 50-Year-Old Becomes One Of The Oldest Women Ever To Compete For A College XC Team Bego Lopez is a business major competing at the NJCAA level where there are no age limits. There is actually a 42-year-old and a 49-year-old also on the team. College Student Missing After Going For Nighttime Run In Iowa Police and the FBI have called off the volunteer search, and are pursuing other leads. Are You The Next Great Voice Of Track And Field? The IAAF Is Looking For An Announcer For The Buenos Aires 2018 Youth Olympic Games You can submit a clip of your own commentary for a chance at winning the contest and a trip to Buenos Aires. 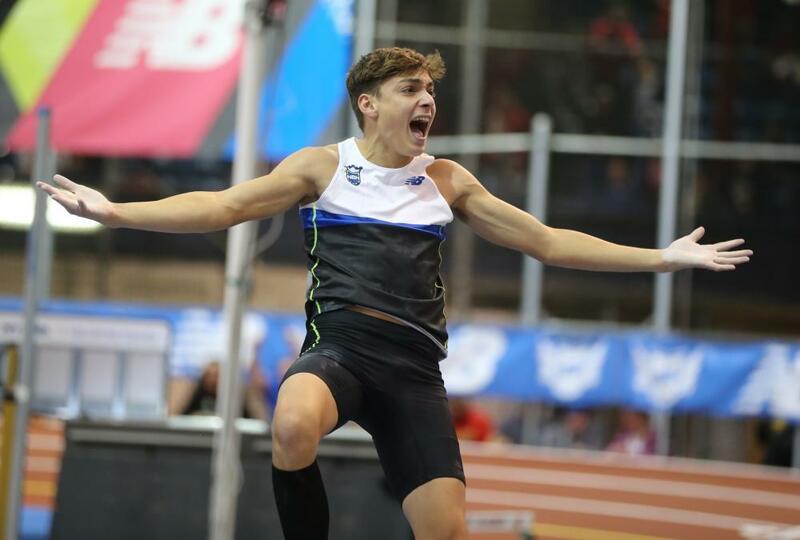 How Much Money Has Mondo Duplantis Rejected To Preserve NCAA Eligibility Duplantis is competing for LSU next year and has passed up tens of thousands of dollars to do so. Wednesday: Yohan Blake Leads Field For Loughborough European Athletics Permit Meet Blake is running the 100/200 double. He’ll face GB’s Harry Aikines-Aryeetey in the 100m. 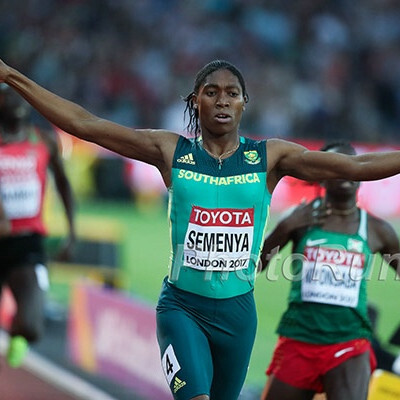 Lynsey Sharp And CJ Ujah Sweating On British Team Selection For European Athletics Championships – Mirror Online The two missed out on auto qualification by finishing outside the top 2 at the trials and are hoping they get a wildcard spot to compete. Not Something You See Every Day: The Mickey Mouse Magazine In Germany Has A Feature On The European Championships The story features Disney character Scrooge McDuck trying to get his nephew Donald Duck to qualify for the European Championships in Berlin. Ukraine Chooses Team Of 88 Athletes For European Championships World high jump silver medallist Yuliya Levchenko headlines their roster. 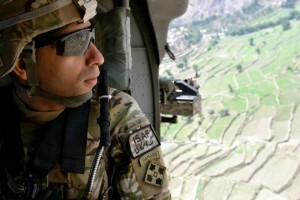 No one talking about Centrowitz? Here’s hoping Clayton Murphy attacks the 800m AR in the DL final. 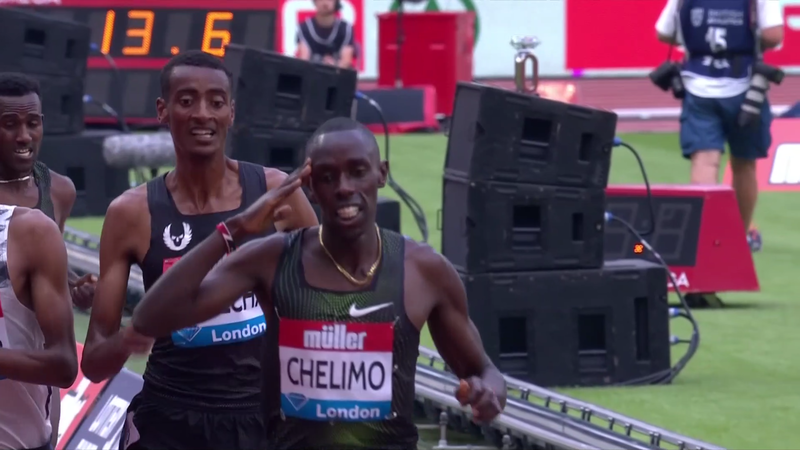 LRC American Paul Chelimo Earns The Biggest Win Of His Career – London Diamond League Day 1 Full Recap And Video Highlights There were also wins for Ronnie Baker (9.90) and Shelly-Ann Fraser-Pryce (10.98) in the 100s and a big 5.92-meter clearance for Sam Kendricks to win the pole vault and a 44.07 Qatari national record in the 400 for Abdalelah Haroun. IAAF Recap: Ronnie Baker Hottest In London Sprint Showdown Baker won the 100m in 9.90 to Zharnel Hughes‘ 9.93. Akani Simbine (9.94) and Yohan Blake (9.95) were 3-4. The Independent: New Mom Shelly-Ann Fraser-Pryce Back Under 11 Seconds She won in 10.98, her first sub-11 since giving birth last year. Bruno Hortelano Sets National 200m Record With 20.04 At Spanish National Championships Less than 24 hours after setting the Spanish 800m record in Monaco (1:43.65), Saúl Ordóñez made the 800m final, but lost to European indoor bronze medalist Alvaro de Arriba. Andreas Hofmann Takes German Javelin Title With 89.55m Meet Record He beat out a super competitive field as Olympic champ Thomas Rohler and world champ Johannes Vetterwere 2-3. Distance action was highlighted by Konstanze Klosterhalfen‘s 4:06.34 win in the 1,500 and Gesa Felicitas Krause‘s in the 9:34.59 win in the steeple. Hammer WR Holder Anita Wlodarczyk Improves World Lead To 79.59m At Polish Championships On the men’s side Wojciech Nowicki beat out world champ Pawel Fajdek with 80.26m. 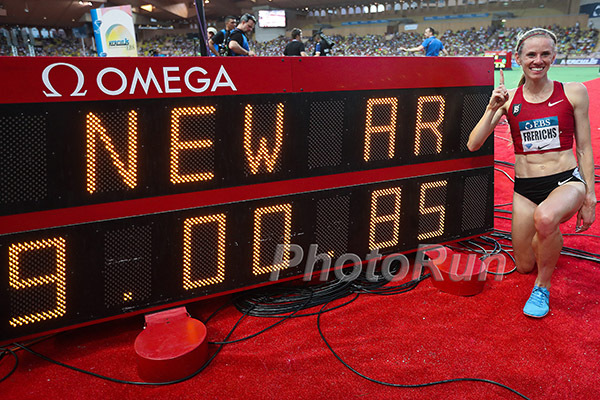 In the 1,500, world 800m silver medalist Adam Kszczot stepped up to win in a tactical 3:46.24. MB: Jeremy Wariner Is Playing Professional Flag Football Micheal Johnson is actually the coach. No, it isn’t April 1st. Did You Know Tori Bowie Missed The 2012 Olympic Trials Because She Got Hit With A Bottle And Broke Her Jaw? It comes up in this Irish story about Ireland’s swimming program using a USA Trials “first across the line” trials system. Jamaica’s Commonwealth Games 110H Champ Ronald Levy Talks About How The High And Lows Of His Career Came WIthin The Same Season He set four PRs from 13.41 down to 13.05, but got hurt at Worlds which kept him from the final.